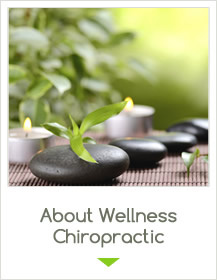 Welcome to Evolve Chiropractic Wellness Studio – Dr. Laura Lardi, DC! 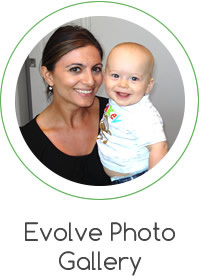 At Evolve Chiropractic Wellness Studio – Dr. Laura Lardi, DC, we are committed to providing families with genuine, quality care and a positive experience in a warm, friendly environment. In practice since 2004, Dr. Laura Lardi, founder of Evolve Chiropractic Wellness Studio – Dr. Laura Lardi, DC, is dedicated to helping you realize your unique health goals and empowering you to achieve and maintain optimal wellness. of gentle therapeutic techniques with patient education to help you get well and stay well! your family attain optimal health! work at its full potential, your body’s natural healing abilities will function at their highest capacity! you achieve your unique health goals. Seeing Dr. Lardi has given me a whole new life! I no longer experience these symptoms because of the care I have received. I have a new energy for each day and I am able to do more because of it. Wonderful consult and a clear path of treatment was received. - Darlene & Margaret D.
Since I began treatment, I can now walk without pain. I cannot begin to tell you how flexible my body feels – no more stiffness. I no longer take pain killers. I was relieved of all the pain that I was feeling. My body has improved tremendously. 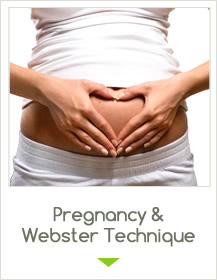 Dr. Lardi is an expert in her field, very knowledgeable, resourceful and precise. She is caring, listens carefully, and explains every small detail thoroughly. I can honestly say that the severity of my migraines has decreased immensely. The fact that in less than 2 months I am seeing more improvements that I have in 3 years, makes me a true believer! Since she has been seeing Dr. Lardi, my child has not any ear infections, and she has also not been severely constipated. 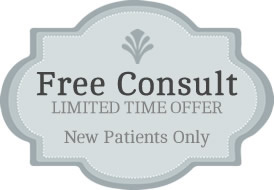 I would recommend Dr. Lardi to anyone whose children suffer from constipation and/or ear infections as she has made a difference in my kids lives. Since seeing Dr. Lardi, she has fixed many other health problems I’ve had. Most of my back pain has gone away, she has cured my jaw pain with realignment, has even significantly fixed the clogging in my left ear and she has helped with my digestive problems. I am so happy and lucky that I’ve found her, I owe my health to her! My baby was quickly on the way to digestive comfort and lots of gummy smiles! Needless to say our home is a far more relaxed and enjoyable place to be. 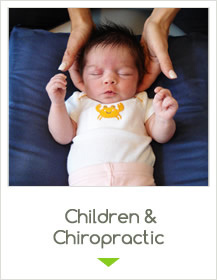 I only wish I had been familiar with Evolve chiropractic when I had my first baby four years ago. 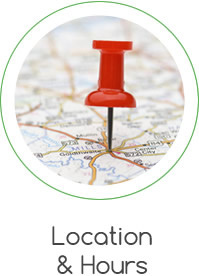 Dr Laura is very thorough, explains everything so you can understand what’s happening with your specific issues. 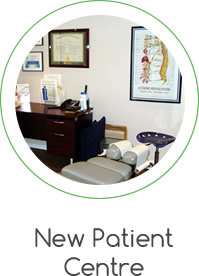 Dr Laura involves you with your personalized treatment plan. I am already feeling improvement with my back & neck after 3 treatments. After only a few short visits, I could move my neck more (my range of motion improved more than I ever thought possible). I have seen quicker results than I had expected. My posture has improved visibly and I feel the difference. The effects of my sessions went beyond my neck. I have I increased energy each day and found myself to be more focused, allowing me to be more productive each day. I also find that I have become more aware of my posture. My son and I are VERY PLEASED with the results! He suffered from curvature of the spine, and sore ankles and knees. He is now able to run with increased agility and play his sports for longer periods of time. Most importantly his posture has improved dramatically. Since being adjusted by Dr. Lardi, Baby Evelyn is perfectly content and has no trouble burping or pooping. Dr. Lardi was helpful and thorough in both her exam of my son and in explaining the procedures to follow. It is very evident that she cares about her patients well being. I would definitely recommend her! After 6 weeks [of care], I stand erect, my shoulders square and pain free. Even my golf game has improved as a result of full mobility in my shoulders. Your treatment of our daughter since birth has shown a clear relief of her gas issues and she immediately began to sleep better and fuss less. 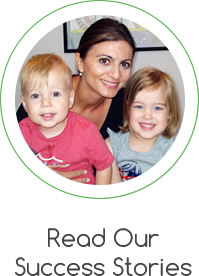 Dr. Lardi was well-equipped to work with all sorts of paediatric complaints and concerns that we had. On top of which, Dr. Lardi was very sweet and nurturing toward our son and his visits were always a positive experience for him and, in turn, for us. 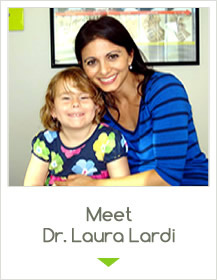 I would, and have, recommend Dr. Lardi to any parent! Within the first treatment I felt relief. Now the leg pain is completely gone, I have increased range of motion in my back and neck, I don’t wake up in pain every day and I can now do most things I had to avoid before.